Middle School Science Educator at the Academy of the Sacred Heart since 1995 and enjoy sharing my passion for science with my students. Eighth grade began the year researching Weather Satellites. See ppt for project and we tried to do our Intensive Observation Period for Globe this morning---the rain suspended our progress but tomorrow is another day. 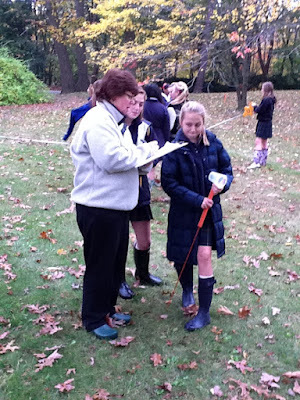 Here is one of our successful outings to gather information for our IOP for the Globe project.